"Ukraine will need years or decades" before it is ready to join the EU. " Despite that Ukraine has fulfilled part of its obligations in the sphere of European integration, obstacles remain on its way to EU membership, says the observer of The Wall Street Journal, Simon Nixon. In his 16 July article, the author wrote the Ukraine-EU summit, held last week, showed that both sides have something to celebrate. For Ukraine, it became an occasion to draw the attention of European leaders to the reforms that have been carried out since the Maidan events. For Brussels, in turn, the summit was victorious because it showed that the EU managed to maintain a common policy position towards Ukraine and Russia against the backdrop of political instability that has recently embraced the continent. "However, behind the warm words were hidden real reasons for concern," the observer notes. Thus, Nixon noted, that the summit did not end with a joint declaration of leaders, consolidating Ukraine's desire to become a member of the EU in the long term perspective, although this should not bother Kyiv, as Ukraine continues to receive technical and financial assistance from Brussels for the implementation of democratic processes. The analyst emphasizes that everyone agrees that Ukraine will need "years or decades" before it is ready to join the EU. At the same time, WSJ notes, Ukrainian officials are concerned about the lack of a long-term perspective because the conflict in the East of the country complicated the implementation of reforms. Nixon notes that Russia seems to be inclined to "increase the cost" of the program of Ukrainian reforms. 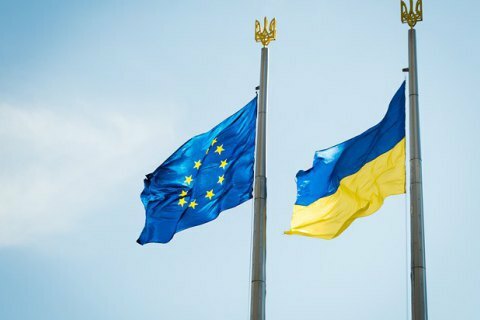 "Its attempts to destabilize the situation in Donbass, where the situation has escalated this year, as well as permanent cyberattacks against the government, hampers investors and create additional pressure on the state budget, " the author writes. .
Kyiv managed to succeed in implementing reforms, but in order to maximize their positive effect, the EU must find a way to "reduce the political costs" of these reforms, the author concludes. In the course of the summit last week, President Petro Poroshenko reminded EU leaders about Ukraine's right to European integration.